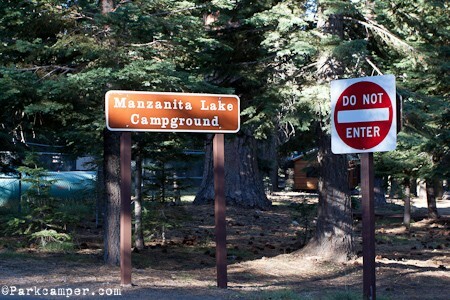 Elevation 5,900 ft. is the largest campground in Lassen Volcanic National Park. 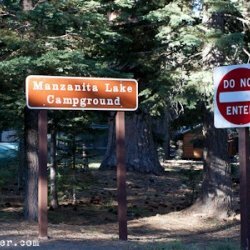 It is within walking distance of the scenic Manzanita Lake, a popular fishing and family destination, and offers impressive views of Lassen Peak, the largest volcano in the park at 10,457 feet. The facility is conveniently located one mile south of the park entrance, close to The Loomis Museum, Loomis Ranger Station and popular hiking trails. Educational programs are presented at the museum and amphitheater. The national park is known for its volcanic history, as well as its diversity of plants and animals. It contains 300 active volcanic domes, as well as many hydrothermal features, such as mud pots and steam vents. Lassen Peak is the southernmost active volcano in the Cascades, and the second most recent to erupt in the lower 48 of the United States before Mount Saint Helens.